Happy New Year! I hope you all have something fun and memorable planned for tonight! 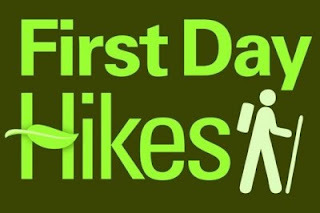 A great way to start off the new year is with a First Day Hike. I have listed the first day hikes in or near Utah on the Today's Mama blog. You can check out the list HERE. What are YOUR plans for New Years Day? Leave us a comment below! After scaling back on blogging the last few weeks to spend time with my family for the holidays, I am ready for the new year and lots of fun information to share with you!